Superbly organised right from the pick up at the railway station to the end of the tour. Our guide was great, hiking just enough and the whitewater rafting at the end was great fun. We felt thoroughly looked after the whole trip. A combination of trekking, hilltribes, elephant riding and whitewater rafting. A two day adventure variety trip. Highlights = elephant riding and whitewater rafting (inflatable rafts, safe and suitable for whitewater), as well as hiking in the hills and staying with the Lahu tribe. 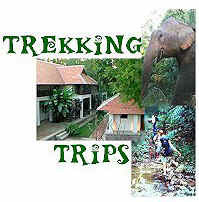 This is a private trek and includes hiking, elephant riding and white water rafting in the two days. It is a fairly easy trek to a scenic area, staying in a Lahu village. 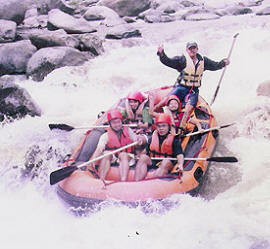 Good for those who want a variety and to try the whitewater rafting adventure. If there are any further details please write in the box. Each trip is registered with the Tourist Authorities (as required by law) - for this reason you will be asked for a photocopy of your passports. Copyright © 1998-2015 Wayfarers Travel All rights reserved.